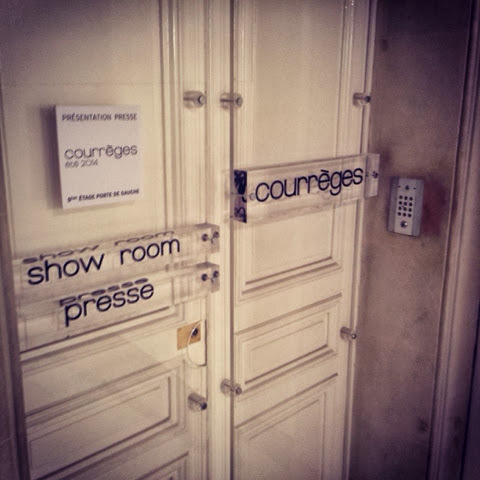 Today I went to an appointment to view Courrèges Spring/SUmmer 2014 collection held in rue Francois 1er, Paris (Dior couture is somewhere in the building as well). 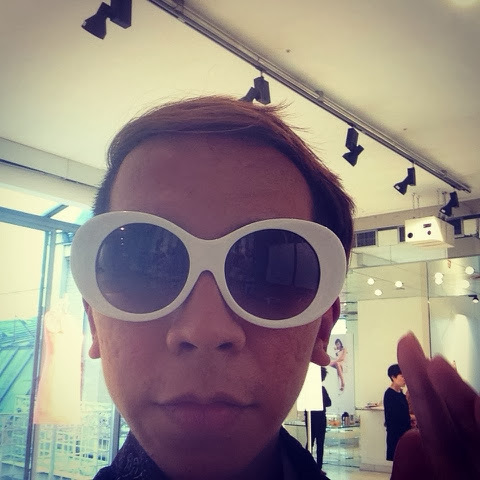 Courrèges is always releasing a playful fun and futuristic collection, such a fresh breath of air for my fashion lungs. A delightful moment it was. 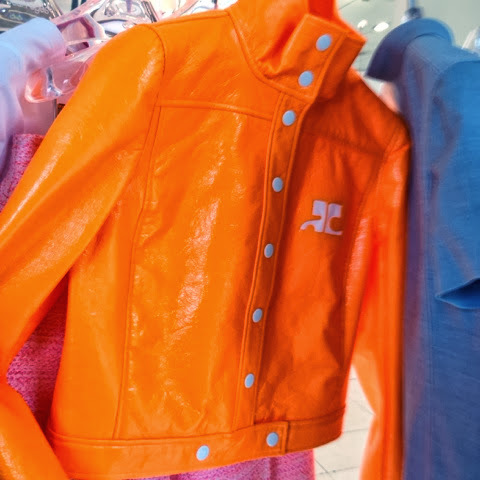 Courrèges' creativity is so ground-breaking and influential, that his legacy lasts so long it inspires a lot of renown fashion houses such as Moschino and even Prada (remember this post?). 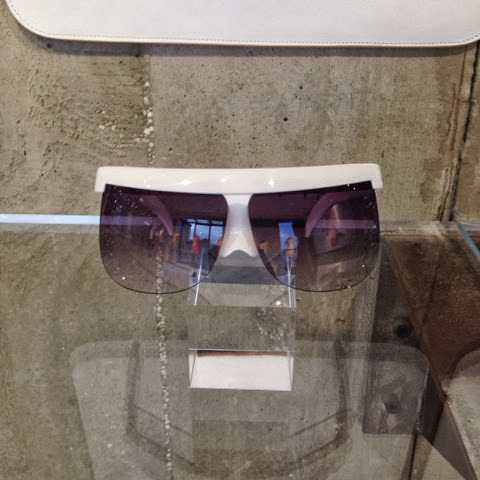 No wonder they are very secretive about their designs. When I was there I overlooked an it's-not-available-in-the-bookstore-near-you heavy book with metal cover by Xavier Barral, and what I saw inside was like a dream for any designers who want to create something cutting-edge and ultra modern (remember: André Courrèges' designs in the book were created during the zealous 60s. Once again it shows how visionary he was). 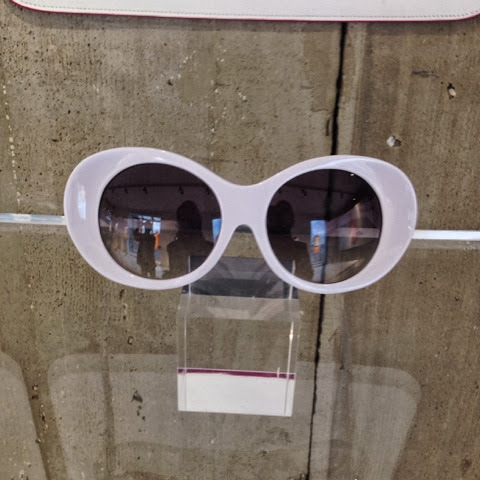 It contains the archive of Courrèges' design since the beginning of his career. All flashy futuristic pieces that in that time, not many people could really understand. Did I say visionary? Because what I just witnessed, this collection is so in right now. Bright colours applied on stark materials such as plastic and metal, incredible technique creating striking silhouette as seen on the motoGP-style swimsuit, new wave of silk and cotton, plaited cotton pique, and signature little white dress, Courrèges' collection this season proliferates the idea of real fashion: to keep moving forward. Courrèges also released a spread featuring some of the pieces from the collection. IT. IS. ASTONISHING. This image is so wonderful. I wonder if I am allowed personally use it; print it, put it in frame, and add it to my living room deco. And below are my favourite pieces. No one is standing on queue when you walk in (so you won't get starred by envious people. It's usually involving just a small number of people. The luxury of viewing the collection and actually experiencing it; touching the fabrics, trying it on (really. It's really important and very significant. It's just like buying clothes at the physically existing boutique instead of online shop). I am blessed to be able to attend this presentation. 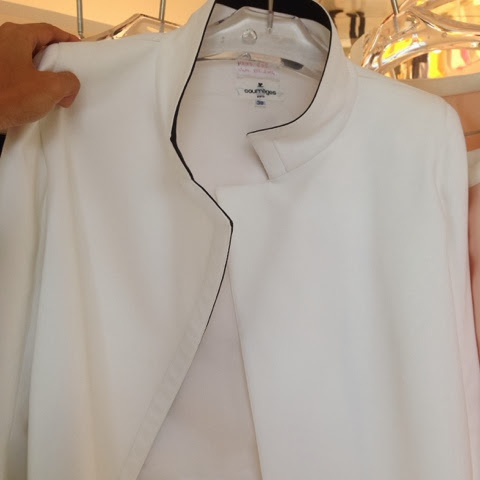 You can see the clothes and see others and back to a particular number as often as you wish. The presentation itself is private, so it's already holding an exclusive nature. Oh. And Courrèges' team consists of the warmest people in Paris during fashion week. Just saying.